Fairfax Media reported yesterday that Navy personnel will be used to map the bottom of a Wellington lake in the hope of finding some historic secrets, such as an old gold mine shaft. 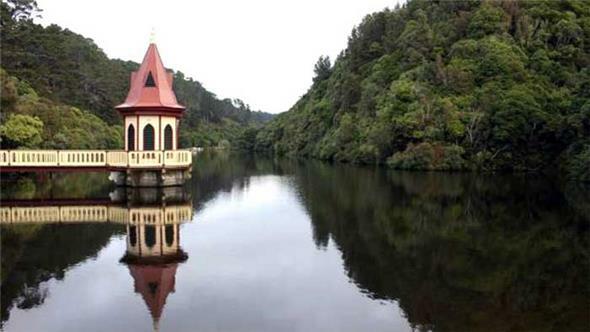 The Navy's hydrographic experts will work at the Zealandia eco-sanctuary in Karoi this week to digitally map the bottom of its lower lake reservoir. Fairfax said it is believed there is an old gold mine shaft, now at the bottom of the lake, which was used by early miners in the valley. By mapping the lake, Zealandia hopes to learn more so the area can be restored, part of its Sanctuary to Sea project. 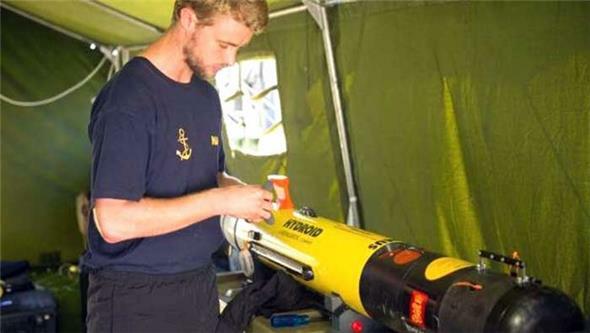 Royal New Zealand Navy lieutenant-commander Daniel Wierenga told the Dominion-Post that a team would use side-scan sonar technology to survey the lake floor. It had been asked to do so by Zealandia sanctuary, which planned to use a poison to eradicate some unwanted carp in the man-made lake. Wierenga said there were suggestions there may have been some mine shafts where that lake was created. The operation should take about two hours. A Navy underwater device similar to one to be used in the Zeelandia lakes quest.